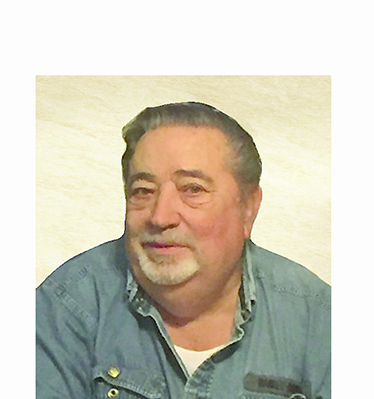 Home Obits CHARLES GLEN FRENCH SR.
A service to honor the life of Mr. Charles Glen French Sr. will be at 11 a.m. Saturday, June 23 at Blanchard-St. Denis Funeral Home. Burial will follow at St. Anne’s Cemetery in the Spanish Lake Community near Robeline. The family will receive friends from 5-10 p.m. Friday, June 22 at the funeral home. Charles, 73, and better known to all as Peanut, passed away June 18, 2018, with his family by his side. He was born Dec. 31, 1944, in Many to Jim Crit French and Jewel Hardy French. A hard worker and a good provider for his family, he spent most of his working career being an over-the-road truck driver. He was a loving husband, father, grandfather, great-grandfather, brother and friend and will be dearly missed by all that knew him. He was preceded in death by his parents; siblings, Lois Evelyn Daniels and Billy Ray French; and a grandson, Cason Glen French. He is survived by his wife, Charlotte Davis French; children, Lisa LaCaze and husband Ricky, and Charles “Pete” Glen French Jr. and wife Tracy; grandchildren, Heather French, Heaven French, Jayme French, Charles “Tre” Glen French III, Lacy Bass, Katie Bass, Rachel Bass, Hannah LaCaze, and Raylan LaCaze; as well as great-grandchildren, Averi McKemy, Linley Rose, Benjamin Brauer and Colton Brevelle. Those honored to serve as pallbearers include Michael Davis, Christopher Davis, Nathan Jenkins, Johnathan Garcie, Rodney French, Ryan French, Dennis Murphy, Lane Possoit, Melvin Brevelle and Nicki Flores. Honorary pallbearer will be Timothy Severance.